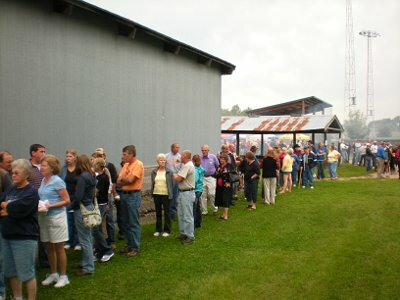 People line up several hundred deep (and out of the picture) to wait for the BBQ chicken dinner. 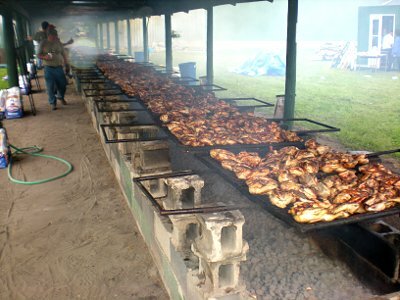 They cook thousands of chicken halves. They start prepping around 6am and then they are ready to serve meals starting at 10:30am. 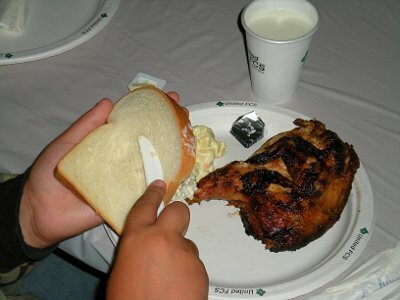 It is a pretty nice meal consisting of a half chicken, coleslaw, potato salad, white/wheat bread, milk/water/coffee for $8. The meal is big enough that it will feed two people per plate which is what we do with our kids. After the meal there is plenty activities for folks to do. 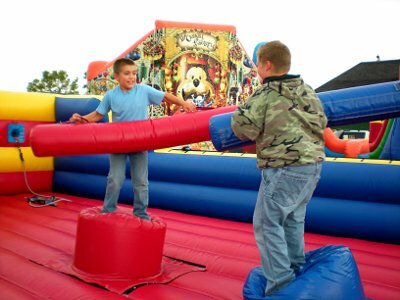 Here Jacob and Ben and jousting over in the kids area. 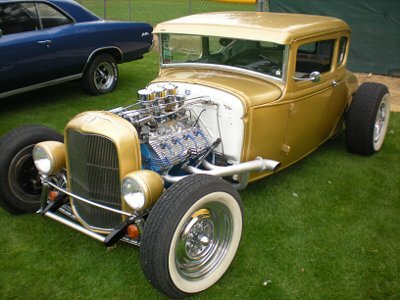 They also have a nice classic car and street rod display at the baseball field. It was a nice way to spend part of the day with the local community in our area.